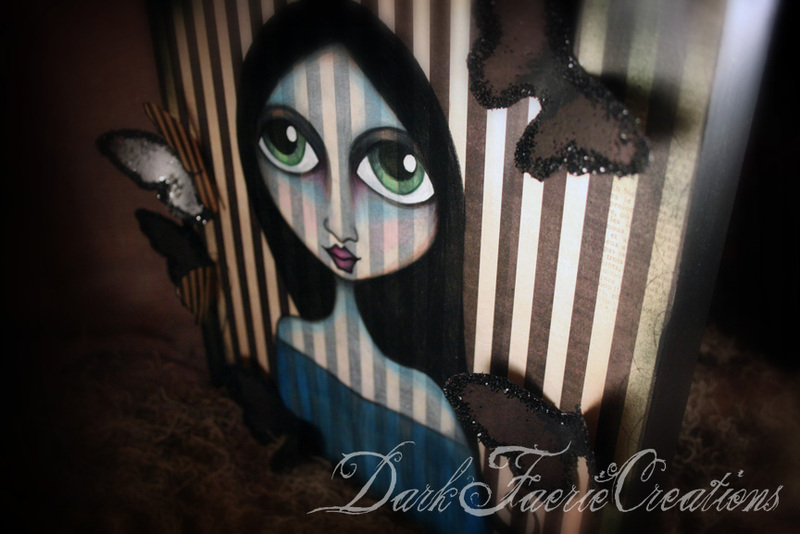 This piece kind of ventures away from my usual style...but I wanted to try something different. and given an aged look. 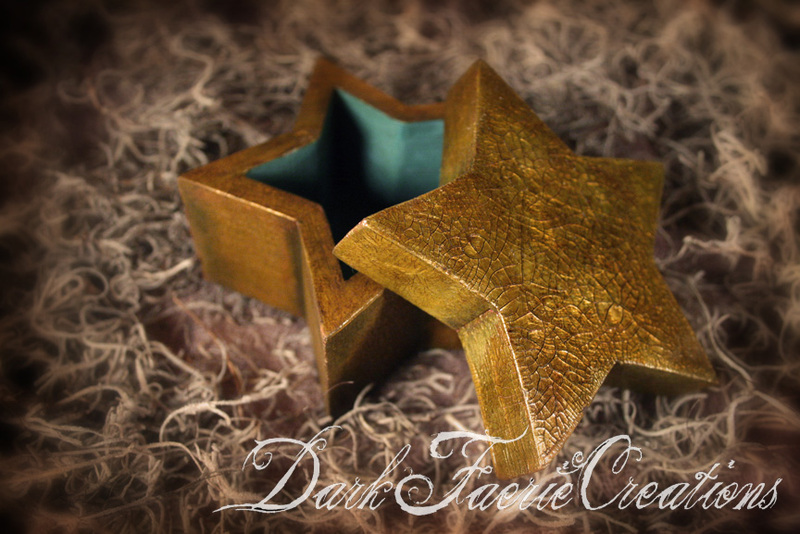 The inside of the box is a beautiful cinnamon color. This is Ghost Girl. 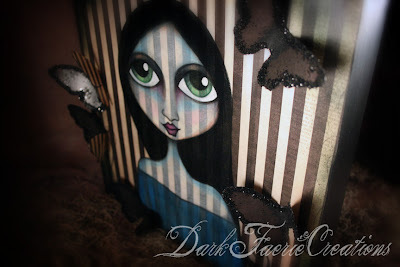 I picked up some new paper a couple of weeks ago (I just have to have anything I find with black and white stripes!) and wanted to see how my pencils would work on the stripes. 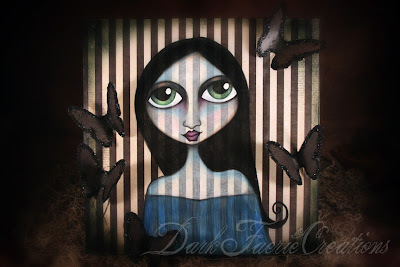 I fell in love with the look of the muted stripes on her face once covered in white pencil....I though she had a very translucent look and a ghost like appearance..hence the title. She has been mounted on a 12 inch x 12 inch wooden canvas and adored with black paper butterflies that have been edged with black glitter. 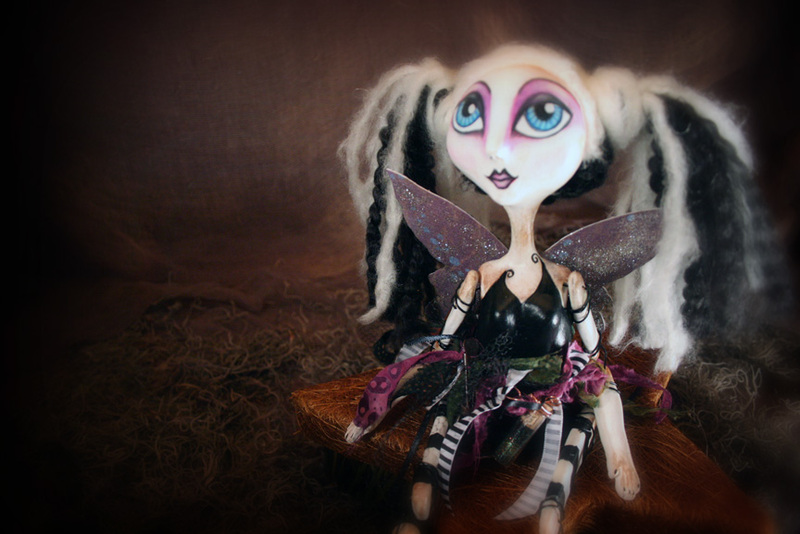 This is Natasha...my latest art doll faerie.....she is my first using two toned hair...but she won't be my last! I adore her black and white pig tails! 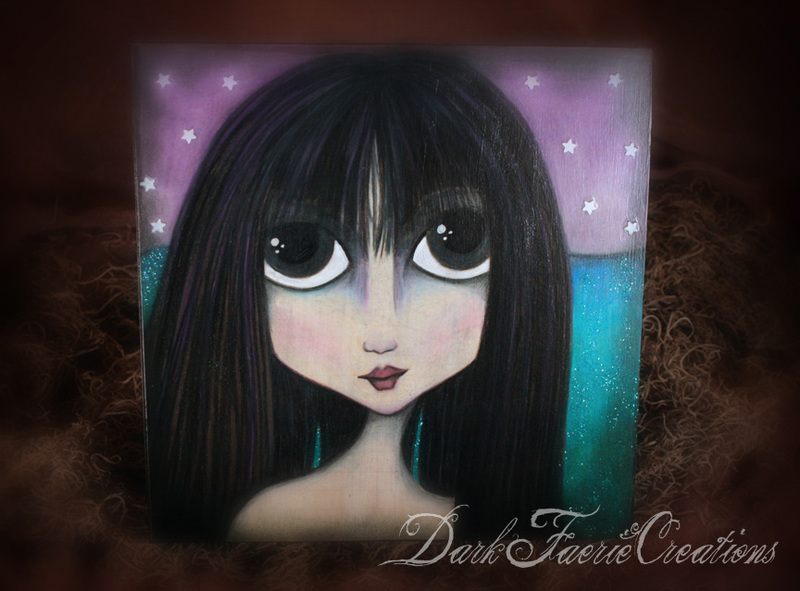 The Selkie Girl...she was inspired my a book series by Nicole Peeler that I absolutely adore! 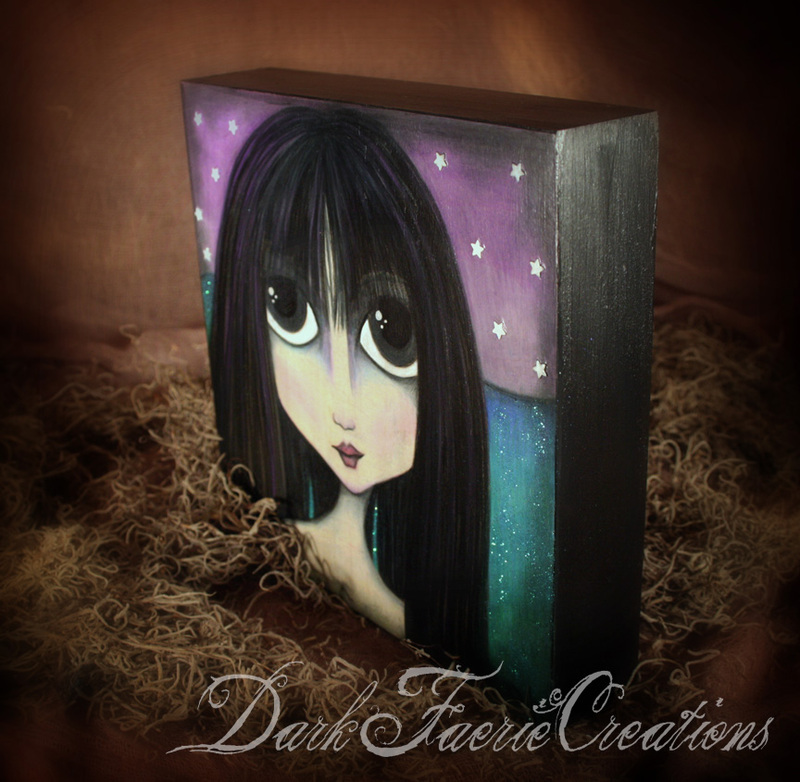 She has been mounted on an 8 inch x 8 inch wooden canvas that has been painted black. distress ink in moss as well. Quite beautiful! 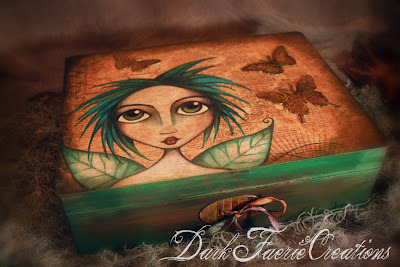 And last but not least....meet The Green Pixie....this is my latest faerie box and it is quite large. It measures 12 inches by 9 inches by 3.5 inches. 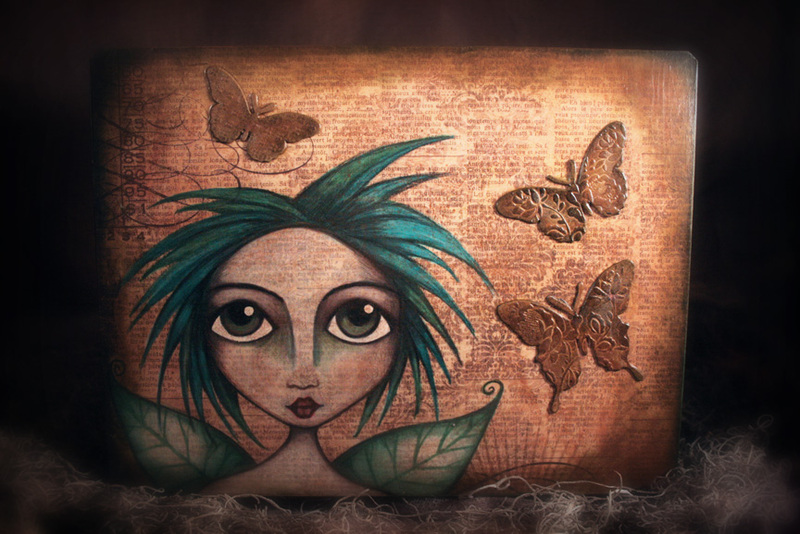 She was drawn on a gorgeous paper that was printed to look like old book pages overlaid with a floral print. 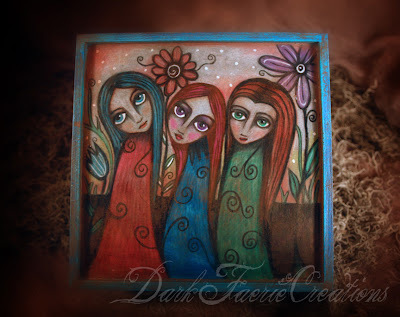 I aged it with a crackle glaze and distress inks. 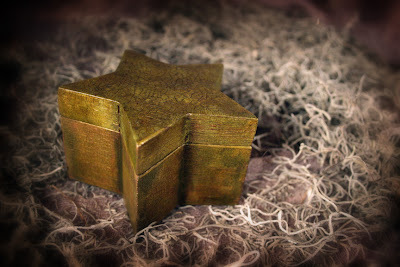 The rest of the box has been painted in brown and greens and a bit of gold. Cardboard butterflies that have also been given an ged look with distress inks and a beautiful hand dyed ribbon finish off this enchanting box. 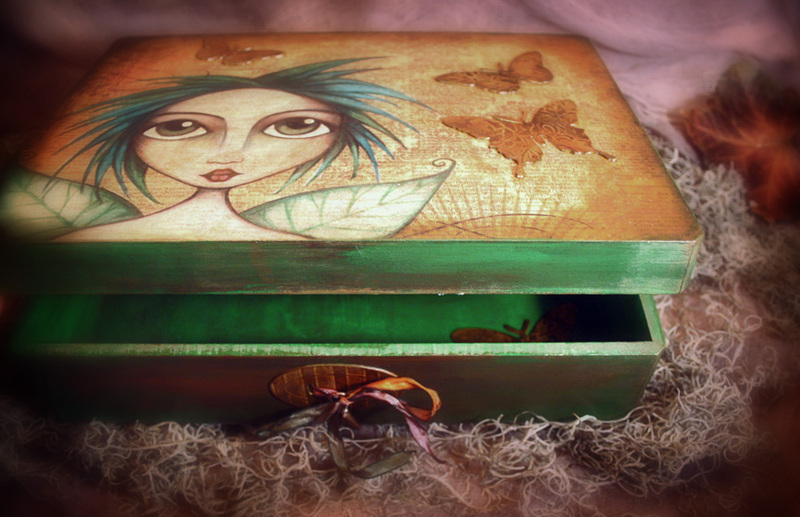 Your work just continues to evolve. So gorgeous!!!! I wish you the best of luck in the gallery. So excited for you!!!! !